Call 202 331-7282 to order book. The Arts Club's Literature Committee and the Foggy Bottom Association are proud to present an evening with author Thomas Mallon, who will discuss and autograph copies of his acclaimed bestseller, Watergate: A Novel. The evening is free and open to the public. Mallon's dramatized account of the infamous political scandal that rocked the Nixon White House landed a coveted spot as one of the Washington Post's "50 Best Works of Fiction for 2012" and the "100 Notable Books of 2012" of the New York Times. Mallon's previous books of fiction include Henry and Clara, Bandbox, and Fellow Travelers. His book will be available for purchase at a reception following the reading. Tuesday. With Dewey defeats Truman, Fellow Travelers, and others, Mallon has proven himself an adept novelist of recent history. His ninth work of fiction revisits the Nixon years and, from several carefully selected perspectives, Mallon lets the scandal’s participants tell us what happened, including the fate of those erased 18 -1/2 minutes of tape. Thomas Mallon reads from Fellow Travelers. 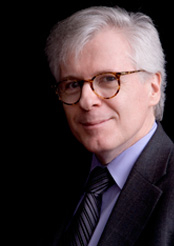 Thomas Mallon is currently considered a "single author." If one or more works are by a distinct, homonymous authors, go ahead and split the author. Thomas Mallon is composed of 2 names. You can examine and separate out names.